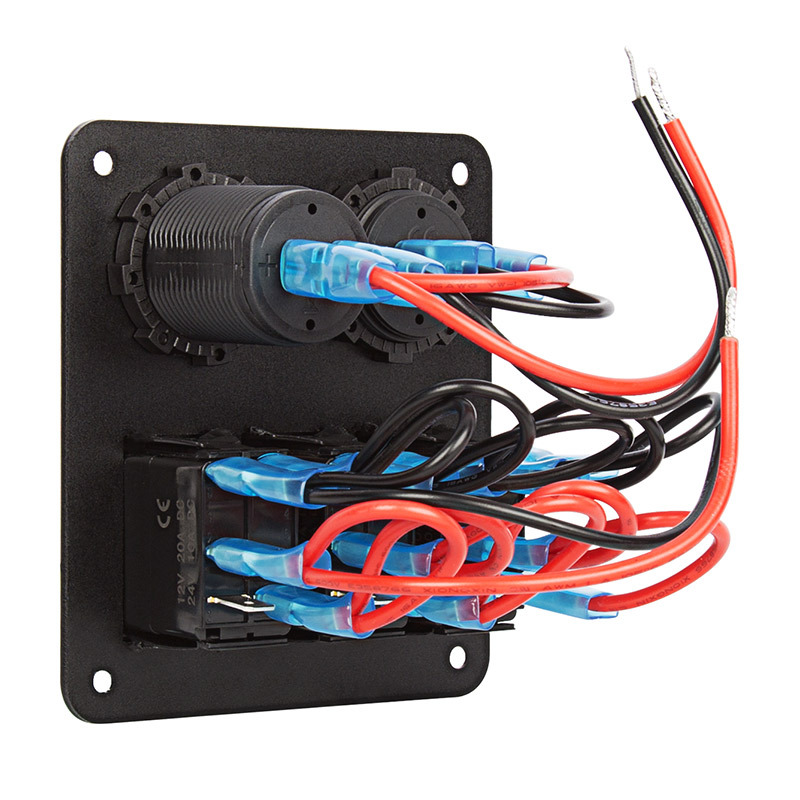 This rocker switch panel helps organize 12 VDC LED light switches or other low-voltage electrical application switches in your boat, truck, RV, UTV, ATV, or car. 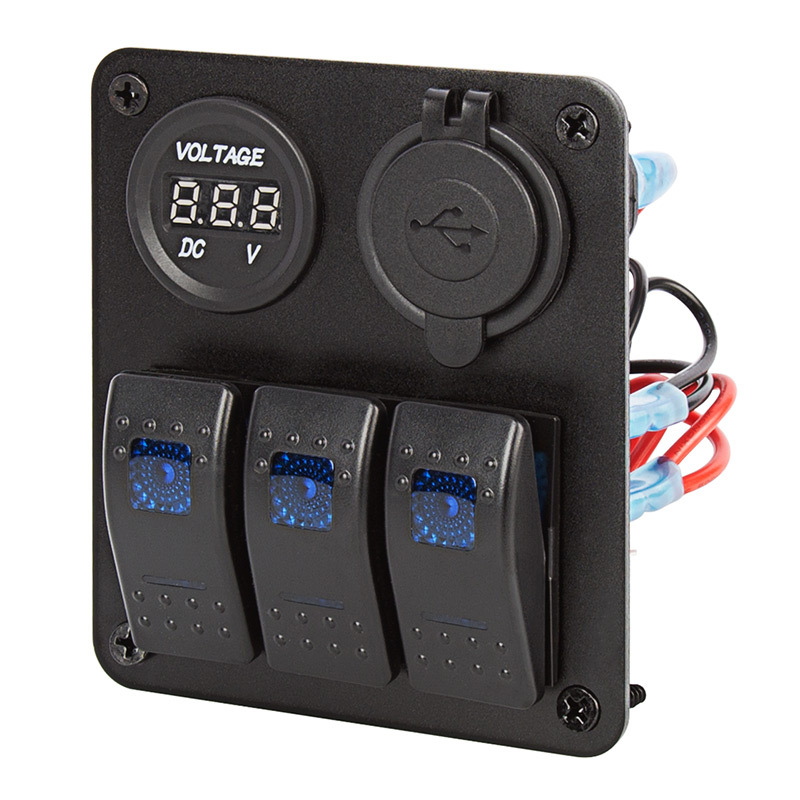 The waterproof DC distribution panel has 3 blue illuminated rocker switches, a dual USB port (3.1 amps total at 5V) with blue indicator light, and a digital voltmeter to show vehicle battery voltage (5-24V display range). 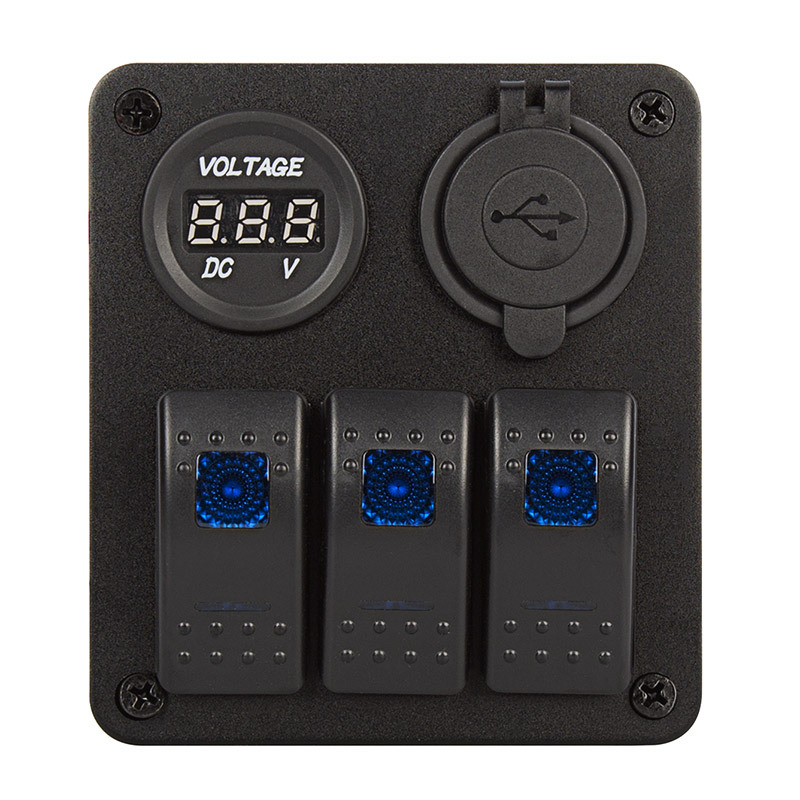 The dual usb port and voltmeter can be replaced with other round switches, such as a cigarette lighter socket or voltmeter/ammeter (sold separately). 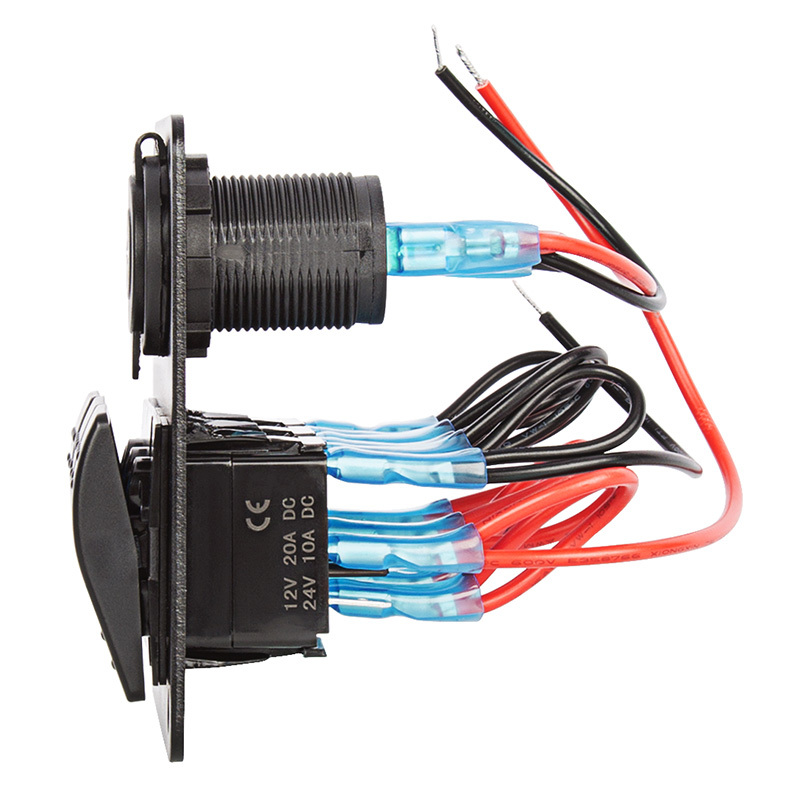 This switch is pre-wired and is rated for 20 amps total. 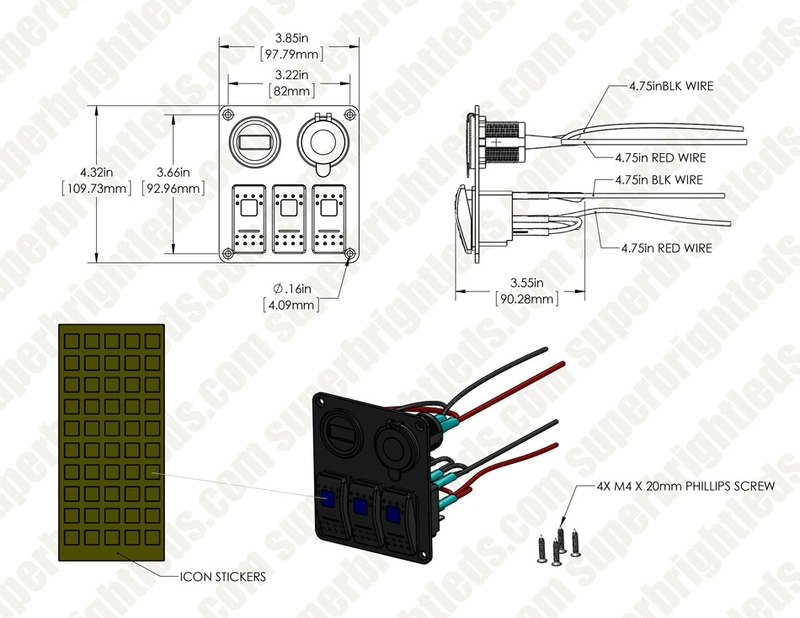 The surface-mount switch panel comes with 50 common function labels and installation hardware. LED Strip Lights - Custom Length 12V LED Tape Light - 375 Lumens/ft.